Often times I sit at my desk at work and ponder what I’m going to write for the day. Honestly speaking, that list goes through an infinite amount of changes throughout the day. For a number of reasons. Sometimes it’s because something more relevant or topical shows up in my feed and there’s no way I can possibly ignore it. Other times it’s because I forgot to write my idea down and I can’t retrieve it. Then there are the ideas that are just bare-boned and don’t have a skeletal structure allowing them to stand on their own. My creative process tends to be all over the map. Like any profession, there are good days and bad days. Days where I know what I’m going to write about from the moment I wake up and other days where I’m scrambling to form sentences together while I’m typing on my keyboard. Ebb and flow I suppose. Today should have been an easy writing day for me. Should have. Last night the second Captain Marvel trailer dropped, and it was spectacular… seriously, those closing minutes y’all! No one would have faulted me for sitting down and breaking the trailer down. It would have been fun and a little easier, but my heart wasn’t in it. Not because I’m not excited about the trailer, oh I am, but around 12:30 I got a little overwhelmed with all the trailer news that’s been rumored as of late. Will the Avengers 4 trailer drop tomorrow. Or is it Thursday now? How about Friday? Is it even dropping at all?! Oh, wait, Spider-Man Far From Home trailer is coming out on Friday. Nope, I think it’s Saturday now. But isn’t the Avengers video game trailer coming out on Saturday? Is that a thing? Don’t forget while Marvel is dropping trailers to everything there’s going to be a new Shazam! trailer too! You see what I mean? I’m dizzy with trailer rumors, not sure what to believe, and wondering how this possible trailer dump will affect the reception of the films (a thought I’ll address later this week… if the rumors turn out true of course). Instead, I sat in traffic listening to a podcast about The Office episode “The Dinner Party”, and I started thinking of something to write. A lot of my best ideas come to me while I’m driving or in the shower. See, I don’t have to be fully naked to get my think on… just partially. During the podcast, I started thinking about Michael Scott, something that happens more times than I’m willing to admit, and the ole hamster wheel started motoring. Michael Scott is one of the all time greatest television characters. If I was just spitballing off the top of my head he makes my Top Ten. Easily. No doubts. And that thought got me thinking about The Ringer’s Top 100 Television Episodes of This Century, a list I’m more than conflicted with, and that lead me back to Michael Scott. Michael Scott. Greatest television characters of all time. Michael Scott… and it hit me! Why can’t I compose a list of the all-time greatest television characters?! I Am Geek could run it and there can be homework, plenty of television watching, and people who get mad at the results! How fun would that be? Then it dawned on me, maybe I don’t watch enough television. I know some of you are scratching your head at that statement, but it’s true. For every time I’ve watched Game of Thrones, The Office, or The Shield there shows like The Wire, Mad Men, or Thirty Rock that I have yet to start or finish. I’m not proud of these facts, but sadly they’re the truth. Which leads me to today’s writing. If I’m going to try and tackle a list of the greatest television characters of all time, I’m going to need help. Your help. Off the top of my head, I think the list will be twenty-five characters long. It’s a healthy number and it’s ambitious and doable. Not one of those projects where I’ll collapse under the weight of its epicness. This is what I need from you Geeklings, your favorite television characters. Now before you start saying that I’m making you do all the work just wait, I’m going to comprise a list too, but in order for the I Am Geek list to register I need opinions that aren’t mine. I need people who have watched Jane the Virgin or something Ryan Murphy has done. I wouldn’t ask you to give me a list of your twenty-five favorite characters, but I would ask you to do your top five. That’s it. Just five characters and maybe a little blurb as to why. Something that could eventually get used in the column, which won’t arrive until next year. The characters with the most votes, including my list, will make the overall list. What do you think? Is this something you guys want to do? In order for this to work, I’m going to need a bunch of you to help me out here. So your yays or nays are important. Let’s make the cut off for the list January 1st, which pretty much gives you all of December to get your think on and send me your characters. How can you send things to me? Well, there are a few ways. 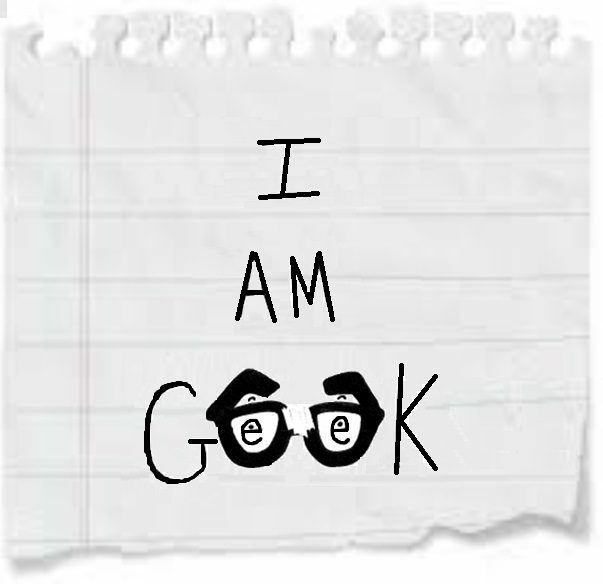 You can message me through the I Am Geek Facebook page which you can find right here. You could also send me a direct message on Twitter @iamgeek32. You can post your answer to my feed but I’d prefer keeping things confidential until the big reveal. What do you say Geeklings? You down with this? Let’s see what we can come up with and spark a whole bunch of debate while doing so.